Capt. 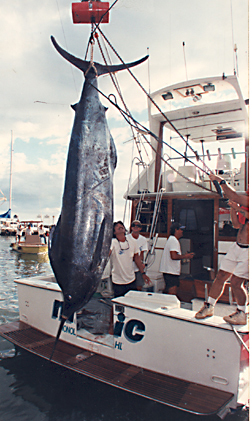 Russell Tanaka jockeyed the 50-foot Pacifica, the MAGIC, while Rodney Kam manhandled the 130ST Penn International to keep the line tight on his first marlin. Rodney fought the fish for 1 hour and 40 minutes and won the Lahaina Jackpot.